As a part of all field experience practicums, you will observe and participate in public and/or private school classrooms. You will be placed in a variety of settings within your certification area-from early childhood to senior high school classrooms in both private and/or public schools. Junior Achievement of East Texas opens its program to allow LETU teacher education students to serve as volunteer teachers in area schools. You will train under Junior Achievement representatives and, using the prescribed curriculum, teach area students about the free enterprise system, job training skills, and choosing a meaningful career. A special program by East Texas Literacy Council, in partnership with Wesley-McCabe Methodist Church, allows you to design and monitor learning centers for students ages 7-12. While you are in the classroom, the children's parents attend special training in English as a second language. Reading Buddies lets you explore the teaching profession by serving as a reading tutor in area elementary school classrooms. At LeTourneau, we are serious about our motto: "Every Workplace. Every Nation." For that reason, we encourage all of our students to participate in our many off-campus study programs. 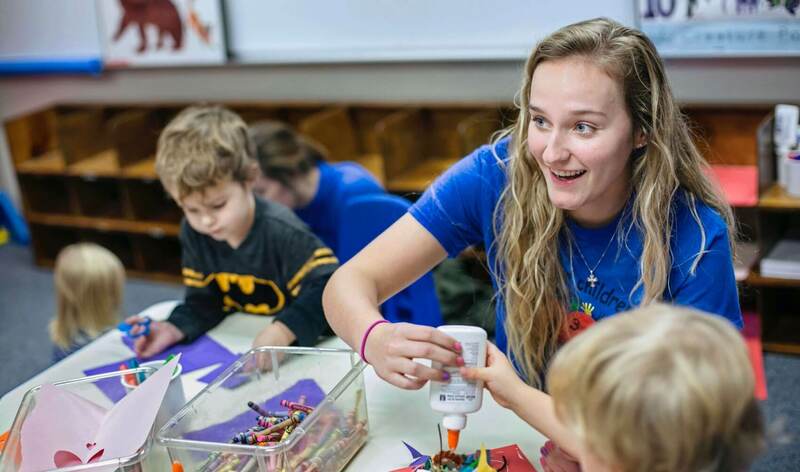 Read about Megan Hillman's experience abroad. Many study programs are coordinated through the Council for Christian Colleges & Universities' (CCCU) Best Semester program. LeTourneau University, a member of the CCCU, offers many programs as semester-long academic experiences. To see the ways you can become one of our globe-trekking students, visit our Global Initiatives Office. These are a few of the conferences held each year on the campus of LeTourneau University. You will work with faculty to sponsor these conferences. Talk about a great way to make connections. Students also have opportunities to attend special lectures by area, regional and state educators. From all level Kinesiology to history with foreign language, LeTourneau prepares future teachers in a biblical and hands on environment. Including the Media Technology room and K-6 Laboratory, LeTourneau equips its students to be ready for the job ahead.